If you switch between WMP and iTunes, you'll know how tricky it is to keep your libraries in synch. Usually you have to do it manually and that can be a real pain if not impossible. 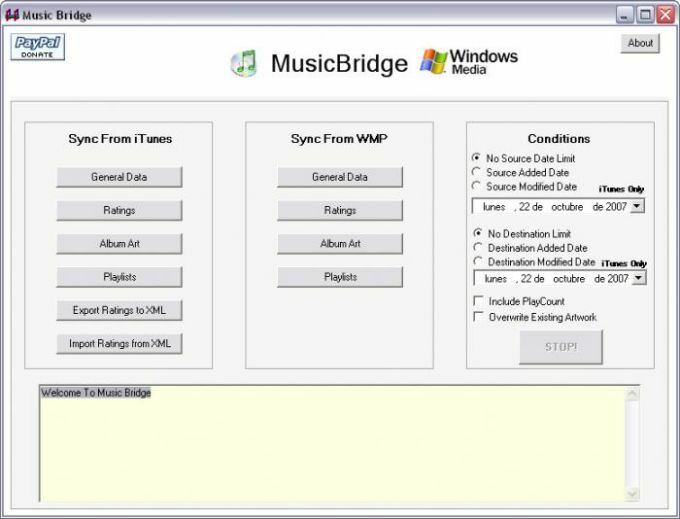 Please note that MusicBridge does not copy songs between iTunes and WMP, and it does not let WMP play AAC/Mp4 files - it simply allows you to copy meta-data between the two. For MusicBridge to work both WMP and iTunes must be pointing at the same set of files in the same location on your hard drive and those files must be playable in both applications. MusicBridge does not copy or move any music files from one application to the other. Additionally iTunes, WMP and MusicBridge must all be running on the same machine. If you're not convinced by either iTunes or WMP but like to keep them both rolling, then this is an impressive, if not perfect solution. 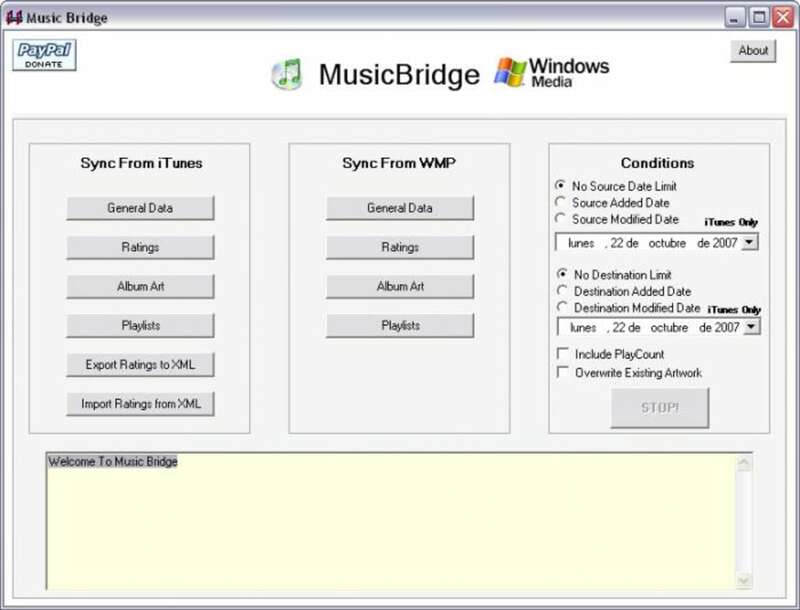 MusicBridge allows people who use both iTunes and WMP on the same machine to keep their libraries in sync. MusicBridge offers a variety of synchronization options so that you can manage your music collection in either media player or both. Originally developed to handle the problem that although WMP can play AAC files with the correct codec it does not read any of the tag information. What do you think about MusicBridge? Do you recommend it? Why?